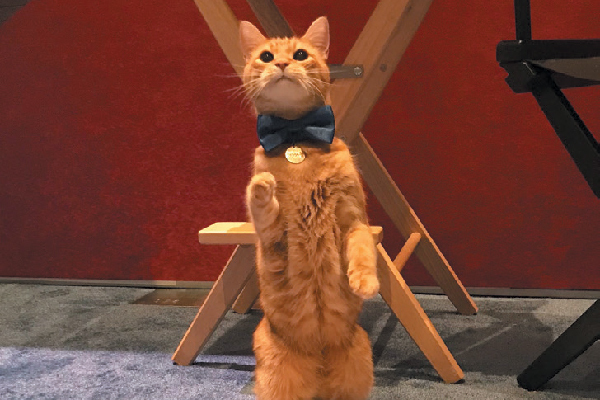 Morris the 9Lives Spokescat celebrated his 50th “adopt-i-versary” this year at CatCon LA. Morris was at CatCon LA to celebrate his adopt-i-versary, and 9Lives was an official co-sponsor of the Adoption Village in his honor — we both saw lots of kitties go to their forever homes that weekend! Morris has never forgotten his humble beginnings as a rescue cat, and he continues to help cats find their forever homes. Despite his fame, Morris seems quite humble. When he’s not promoting 9Lives, he enjoys hanging out with his animal siblings, finding sun spots to relax in, playing hide-and-seek with a buzzer toy and lots of snoozing. Morris was around long before the internet, but thanks to social media, you can follow Morris’ adventures all the time. Check him out on Facebook and Instagram @Morristhe9livescat or on Twitter @MorrisApproved. And go here to learn a little more about Morris’ history.